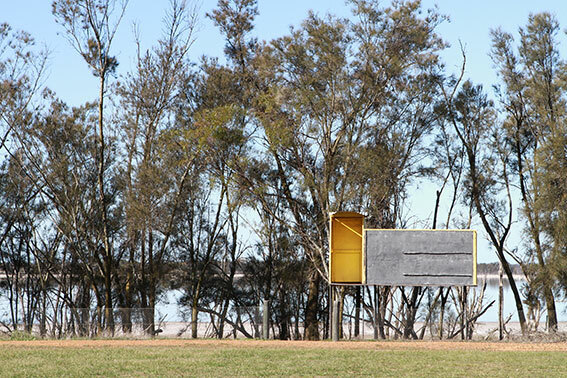 If there’s another scoreboard in WA that backs onto a lake I’d love to see it. 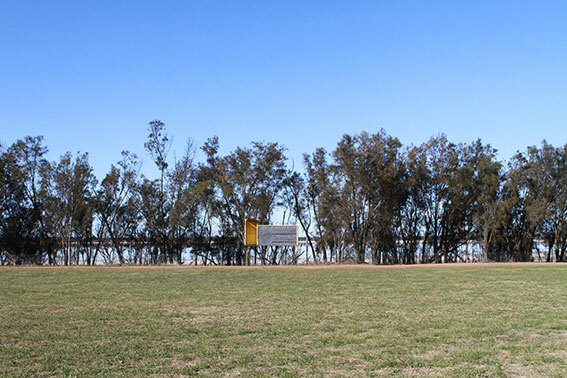 Yealering is about 250km east of Perth and in its many heydays played in the Wickepin Football Association, Corrigin Football Association and Lake-Grace Kulin Football League. 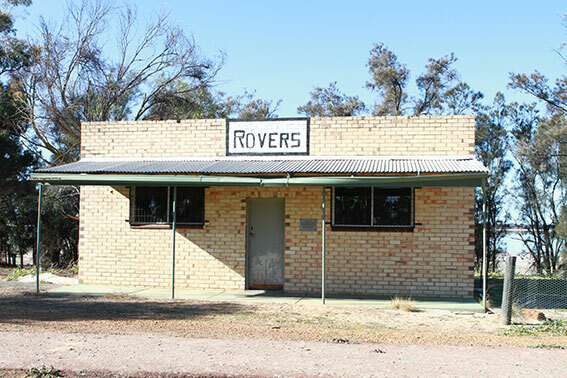 In 1968 the Yealering-Bullaring Rovers were formed and played in the Corrigin Association. The absence of a point post at one end of the ground suggests serious games haven’t been played at this beautiful oval recently but the surface isn’t bad. 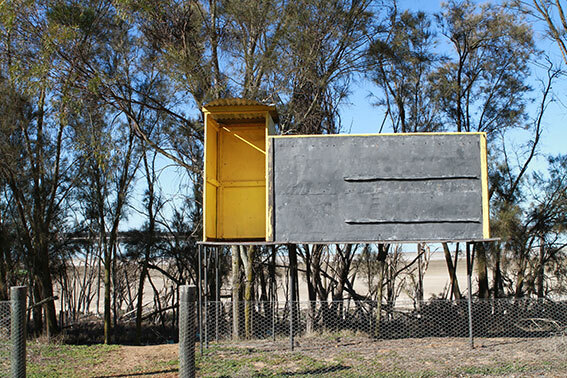 Yealering was also a strong cricketing town and for some years sent a team to the annual Country Week carnival in Perth. I was the earthmoving contractor who levelled the Yealering football oval around October 1965! I was in partnership with the brother and we used an Allis-Chalmers HD-11 crawler tractor and we pulled a WW2 LeTourneau towed Carryall (scraper) to level the oval. It was a great job, alongside the lake – and Yealering was quite a lively town with a big co-op that sold everything – and even the pub was still providing accommodation and meals as well as being the centre of everything for the surrounding area. I was looking at some photos just the other day, of the Yealering football teams from 1950. Yealering were also Premiers in 1950. I identified nearly all the blokes in the team as my farmer clients – then it struck me that nearly all of them are dead! Go to the State Library of W.A. website and search for on-line photos, using “Yealering” plus “sports”, or “recreation” or “football” as search keywords, and you will get a sizeable number of historical photos. Hi Ron I was 1 of the kids watching you level the oval and getting excited at playing on such a wonderful surface. I played with the Rovers Club in C and B grade and myself and a mate used to be the boundary umpires for the A grade game. What a time!!! I will go to the library website now..
I’m off to the library website now. When I was in Corrigin I used to hear about the cricketing exploits of a bloke named Elsegood (John, I think) at Yealering. Good stuff, gentlemen. A big thank you to Ron for telling us more about Yealering. Nice reminder of a time past Ron. 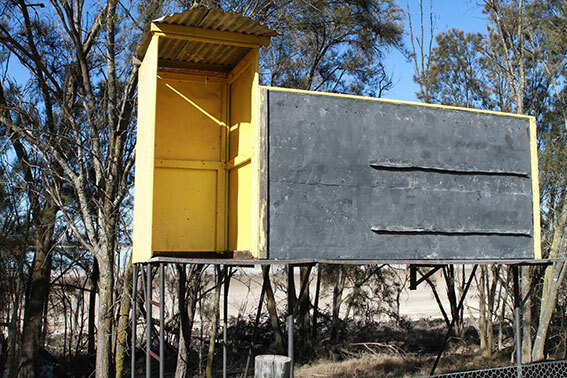 I played for both Yealering in the CFA and Rovers in the LGK&Districts leagues. Had a few big wins and some big losses. Remember the earthworks well and what an improvement. Sad to see the country decline catching up with sporting teams. Hi Ken – Good to hear from you, and to see that you’re still alive and kicking! I’m afraid myself and our family in general weren’t sport-minded – we had bulldozers that kept us 100% occupied! Too many times we worked 7 days a week, but that was common with farming demands when the damsinking or clearing rush was on! Yes, it is sad to see the small country towns decline to a shadow of their former selves. I was quite surprised to find just the other day, that the Bullaring General Store had burnt down. That kind of thing is what finishes off the little towns, and they never come back to what they were. I enjoyed living and working in the wheatbelt – but I’m a city boy now, and I have been for over 25 years!